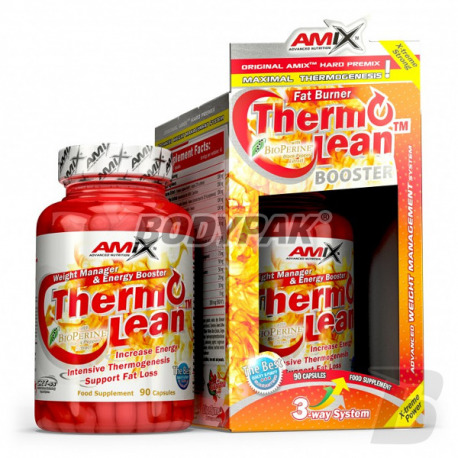 Fat LossAmix ThermoLean BOX - 90 kaps. Are you looking for an effective supplement that will help you in losing extra kilograms of body weight? You should be very interested in this product. With proper supplementation reduction will be fast and easy. Take 1-2 capsules daily approx. 30-60 minutes before physical performance. Wash down with plenty of water. Ingredients: extract of guarana capsule (pure gelatin, water, dye, titanium dioxide), L-carnitine tartrate, caffeine anhydrous, green tea extract, extracts of Yerba Mate, L-tyrosine, extracted from green coffee Citrimax extract Garcinia cambogia (50% hydroxycitric acid), an extract from the bark of proteins willow extract, ginger root extract, cayenne pepper, extract from Gynostemna Pentaphyllum, stabilizer hydroxypropyl methylcellulose MythoCel, anti-caking agents (magnesium stearate, silicon dioxide), GigeZyme (proprietary blend of enzymes ) (amylase, lipase, lactase, cellulase, a bacterial protease), Citrus aurantium, Bioperine® (black pepper extract standardized to 95% piperine) (chromium picolinate). Bardzo skuteczny, chociaż warto czasem zwiększyć dawkę. MEX Thermo Shred [Sport Line] - 180 kaps. Advanced fat burner. 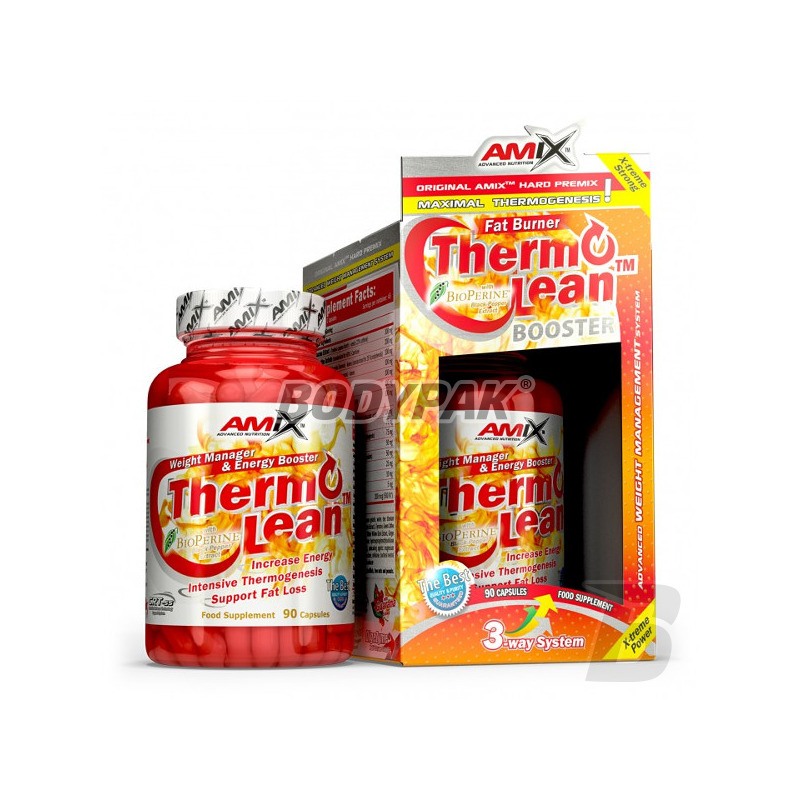 Increases the metabolic rate to help burn fat while maintaining muscle mass. It does not cause yo-yo effect!